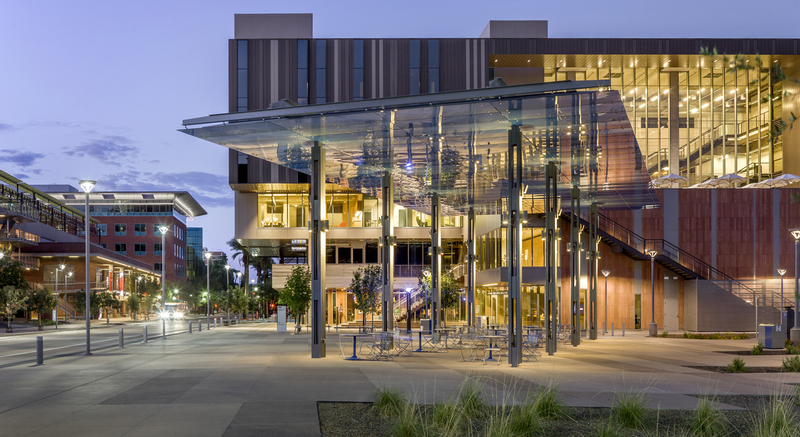 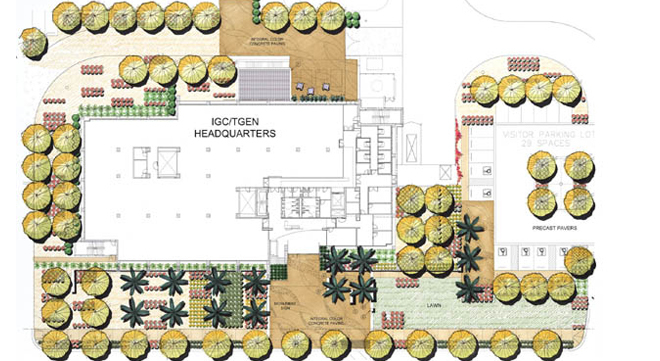 TGEN/IGC and ABC are two of the initial phases of the Phoenix Biomedical Campus at Copper Square currently being developed by the City of Phoenix, University of Arizona and Arizona State University in downtown Phoenix. 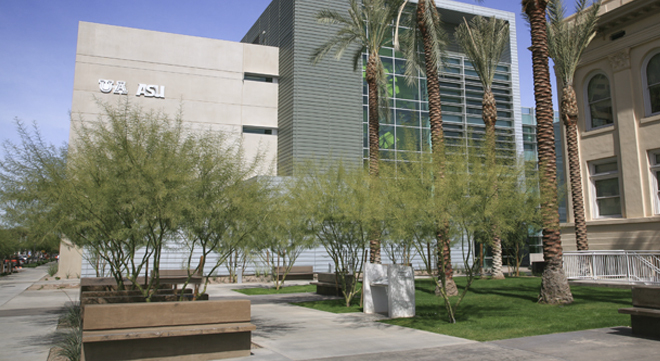 The campus includes a total of six office and laboratory buildings with associated parking, focused on a central green that will serve as the main gathering space for the entire site. 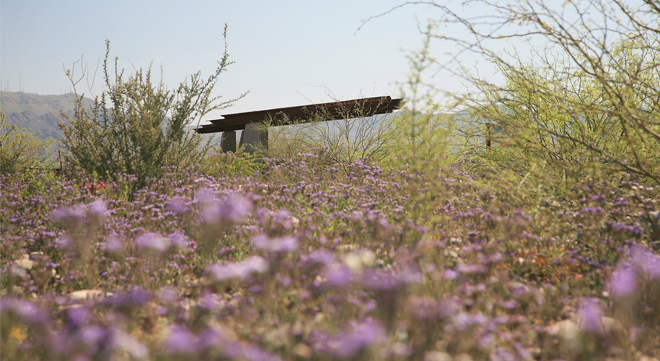 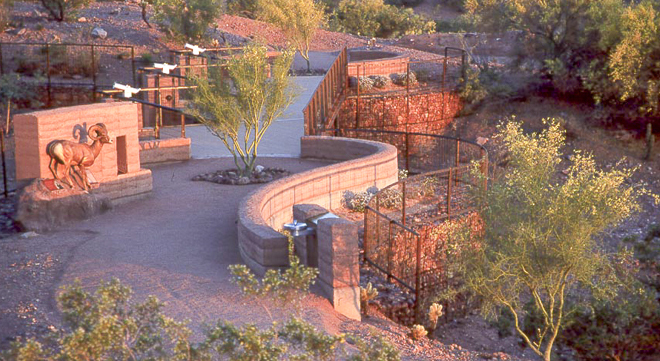 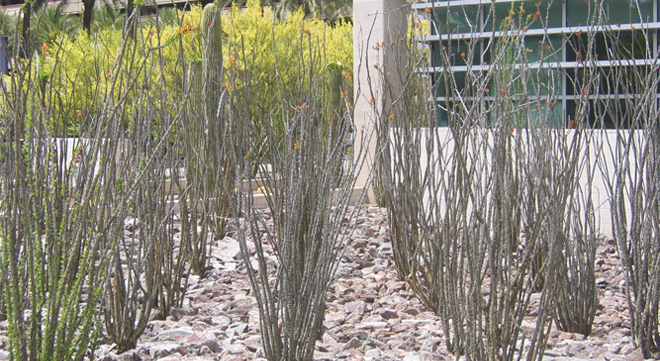 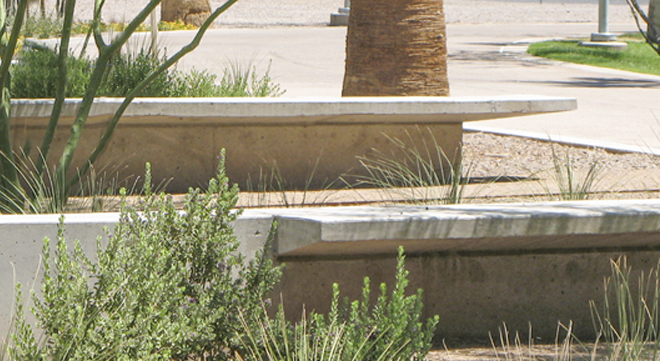 Interpretive plazas provide insight to the public as to the type of work the institute provides. 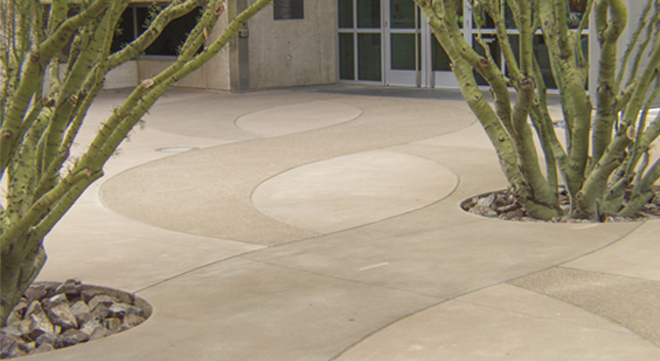 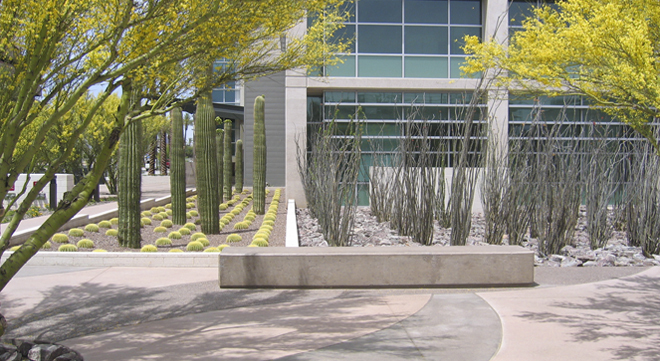 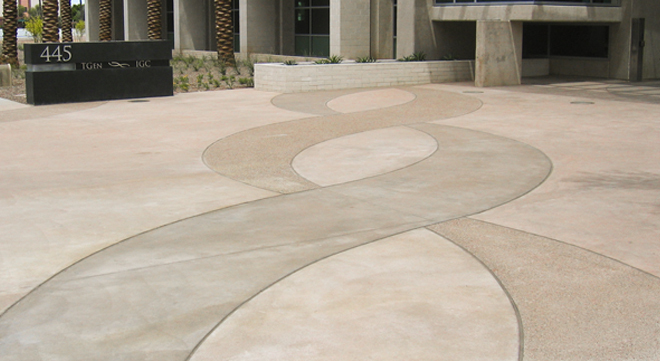 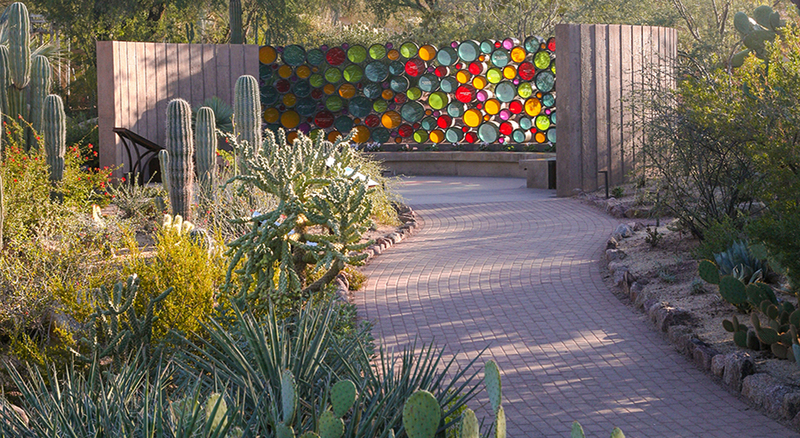 Hardscape elements include double helix forms of integrally colored cast-in-place concrete, reminiscent of the structure of the DNA molecules being studied at the facility. 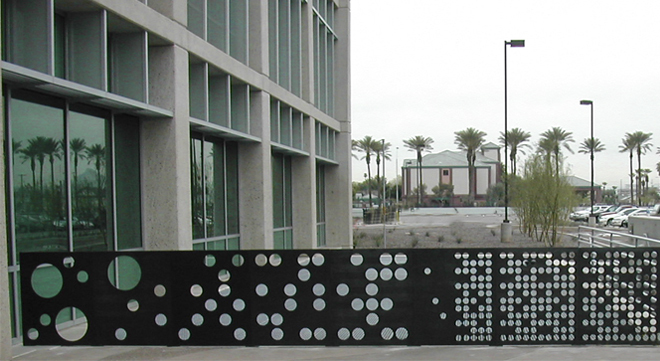 The east entry incorporates a series of vertical steel panels, perforated to mimic the appearance of the sequencing process used to identify specific traits of the genome. 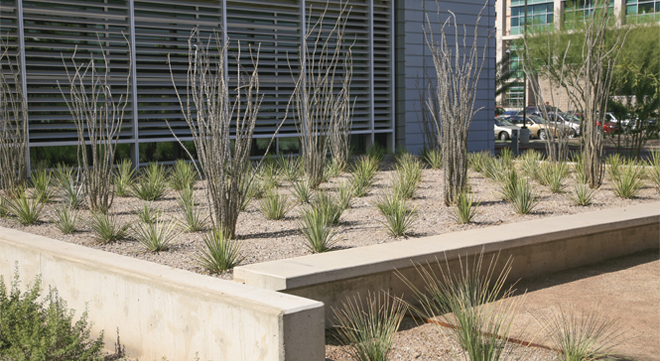 The landscape elements of the project are arranged in staggered rows and organized sequences to subtly reinforce the important research taking place at the campus. 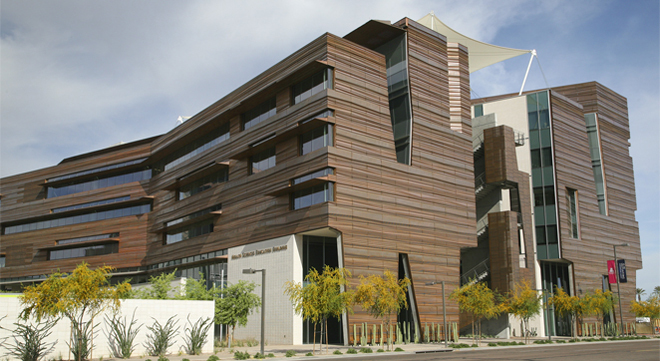 Sustainable technologies and LEED certification practices define the fundamental design philosophies of the campus.